Benjamin was born and raised in the Handsworth district of Birmingham, his poetry is strongly influenced by the music and poetry of Jamaica and what he calls "street politics". He is well known for transforming poetry readings into concert-like performances. His album Rasta, which featured The Wailers' first recording since the death of Bob Marley as well as a tribute to Nelson Mandela, earned him an international reputation. Zephaniah's is a popular writer of poetry and prose especially with young people, his first book of poetry for children, Talking Turkeys, was reprinted after only six weeks. 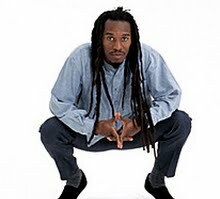 In 2011, Zephaniah accepted a position as poet in residence at Keats House in Hampstead, London.